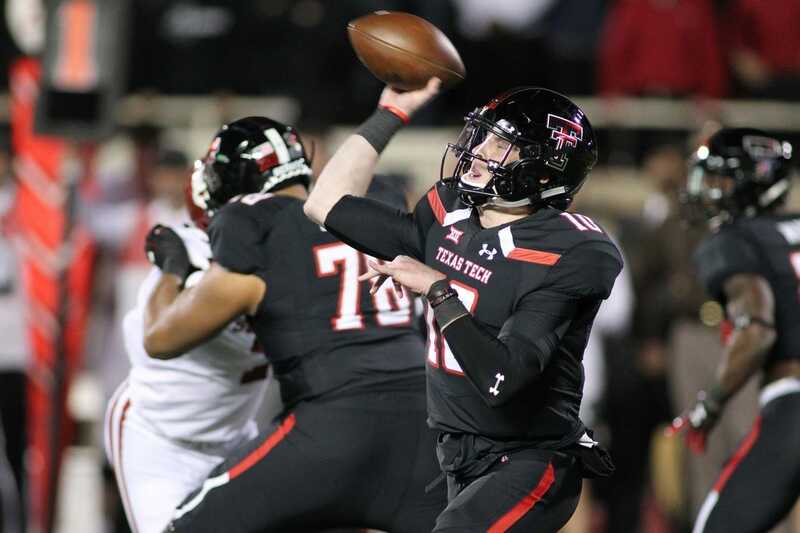 Texas Tech freshman quarterback Alan Bowman was hospitalized after suffering a partially collapsed lung for the second time this season, according to the school. Red Raiders coach Kliff Kingsbury said Bowman was having difficulty "catching his breath" while warming up prior to the start of the second half of Saturday night's 51-46 loss to Oklahoma. Bowman dropped to a knee and was attended to by trainers and then left the field. After the late-night game, Texas Tech issued a statement saying Bowman was transported to Covenant Medical Center in Lubbock, Texas, "to be evaluated for a recurrence of his previous injury (partially collapsed lung) that occurred in the West Virginia game. He will be held overnight for observation." Kingsbury said Bowman suffered the injury when he absorbed a big hit from an Oklahoma defender late in the first half. Bowman had a big first half against the Sooners, completing 21 of 26 passes for 227 yards and two touchdowns. He has thrown for 2,638 yards and 17 touchdowns against seven interceptions this season. Bowman initially suffered a partially collapsed lung in a Saturday home game against West Virginia on Sept. 29. On that occasion, he was released from the hospital the following Wednesday and missed the Red Raiders' game against TCU on Oct. 11.